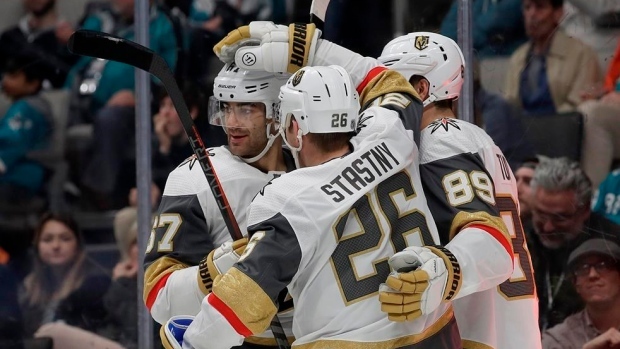 SAN JOSE, Calif. — After an up-and-down second season together, the top line for the Vegas Golden Knights is starting to click again when it really counts. NOTES: Only two Vegas players had previously recorded four points in a game: Karlsson and Theodore did it last season. ... Couture's first goal gave him 500 career points.